William Shakespeare (1564-1616), Dramatist and poet. Sitter associated with 104 portraits. John Taylor (died 1651), Painter. Artist associated with 12 portraits. 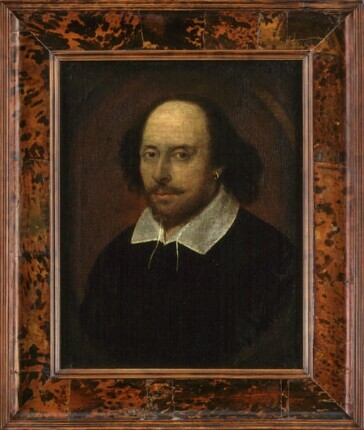 This is the only portrait of Shakespeare that has a good claim to have been painted from life, and may be by a painter called John Taylor who was an important member of the Painter-Stainers' Company. 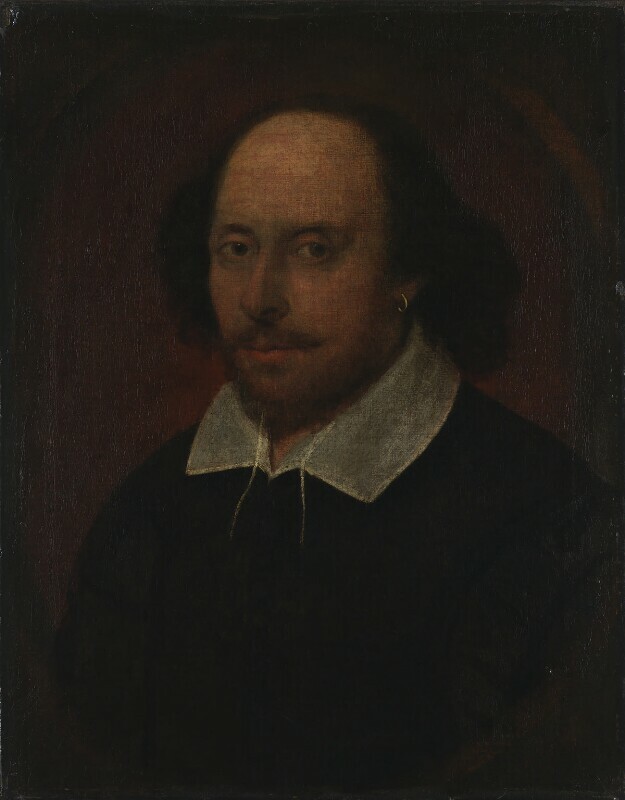 The portrait is known as the 'Chandos portrait', after a previous owner, and was the first portrait to be acquired by the National Portrait Gallery, when it was founded in 1856. Robert Devereux, Earl of Essex is put on trial for failing to put an end to the rebellion in Ireland, attempting to negotiate a truce with the rebel leader Hugh O'Neill, Earl of Tyrone, and deserting his post. Charles Blount, Lord Mountjoy, replaces Essex as Lord Deputy of Ireland. The East India Company receives its Royal Charter by Queen Elizabeth I. Birth of Prince Charles in Scotland (later King Charles I). The scientist William Gilbert writes De magnete ('on the magnet'), which pioneers research into the properties of the lodestone (magnetic iron ore) and introduces the terms 'electricity' and 'magnetic pole'. The miniature painter Nicholas Hilliard works on his painting treatise The Art of Limning at this time. Henry IV of France marries Marie de Medici from the powerful ruling family of Florence, Italy. The Italian astronomer, philosopher and mathematician Giordano Bruno is sentenced to death by the Roman Inquisition and burned at the stake for heresy. Following the death of Toyotomi Hideyoshi, Tokugawa Ieyasu seizes control of Japan at the Battle of Sekigahara. The article explores the connections between the portrait and the Jesuit enclave that existed at Grafton Manor, as well as the portrait's connections to Wroxton Abbey.